Accurate Pest Control Utah – We Control All Types of Pests! 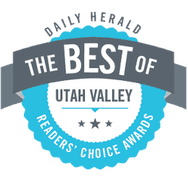 Accurate Pest Control is a family-owned pest control company located in the heart of the Wasatch Front in Utah. Tony and Susie Miller founded Accurate Pest Control in 2003 with the idea of bringing quality exterminating to Utah businesses and homes. At Accurate Pest Control we want you to use our company because you like the work we have done, therefore we are a "No Contract Company". You will use us again because you want to! With each service you will see the same exterminators - we guarantee it! Our services are customized to fit your individual property needs and we always treat your home & business as if it were our own. We take our time with each service so that the problem is solved the first time. Our products are people-safe and pet friendly. Protecting your family from dangerous and disease-carrying spiders, insects and rodents is our #1 priority!